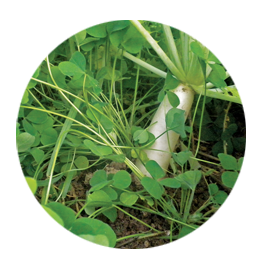 Tillage Radish® can be successfully blended with many other species of cover crop seed to help increase crop yields, build soil health and fertility, and contribute to many other benefits. Whether it's our line of TillageMax Blends featuring Tillage RootMax™ Deep Root Annual Ryegrass and CCS Crimson Clover, or our other cover crops like CCS Sweet Blue Lupin and CCS Sunn Hemp, Tillage Radish provides the deep soil tillage and proven yield increasing characteristics it's known for. 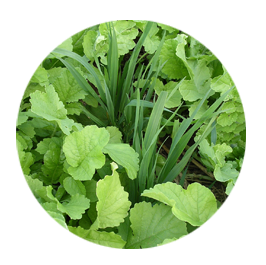 In combination, our cover crop seed blends deliver the specific soil building benefits you're looking for. 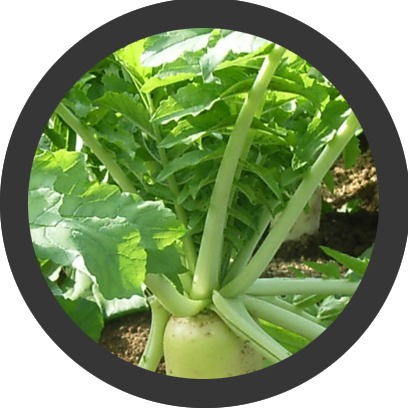 Click here for more information on Tillage Radish™, Tillage RootMax™ and TillageMax Blends. This 3-way blend provides a combination of deep soil tillage and yield benefits achieved only by Tillage Radish, the soil building improvements of Tillage RootMax and the nitrogen fixing advantages of CCS Crimson Clover for a high performance cover crop blend. 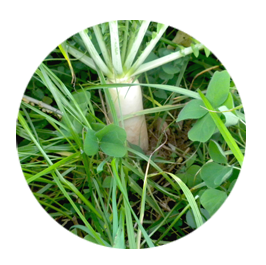 Tillage Radish is the only proven yield-boosting cover crop radish, and absorbs soil nitrogen and other key nutrients with its unique taproot that grows 30" and deeper. CCS Crimson Clover converts atmospheric nitrogen into plant available nitrogen, helping reduce fertilizer input while improving soil health by adding organic matter. Maximum nitrogen is achieved at first flower of CCS Crimson Clover. This is a high performance cover crop blend. Tillage Radish breaks up soil compaction with its aggressive taproot, creating thick channels 30" or deeper.This nitrogen storage tank holds N and other nutrients over winter and releases them as needed by following cash crops. Tillage RootMax builds soil structure deeper than many other ARG varieties. In combination, this outstanding cover crop mixture provides added cover in the spring prior to control. This mix is a true soil builder, helping restore soil health following challenging conditions like extended drought or flood. Tillage Sunn® is a tropical warm weather legume that thrives in dry conditions and poor soil, and suppresses nematodes. It can produce over 60 lbs. of N in 6 weeks. Sorghum Sudangrass adds plenty of biomass both above ground and with its roots. Both excellent scavengers of N, this Tillage Radish and CCS Oats mix will grow rapidly in cool weather and is ideal for quick fall cover. 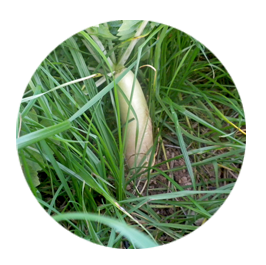 Tillage Radish breaks up soil, even in the compaction zone, with its long, singular taproot to create thick channels 30" or deeper. This blend enhances seedbeds, provides more ground cover in spring, helps control erosion, works to control harmful nematodes, and will winterkill for easy spring management.